You are going to Watch Naruto Shippuden Episode 319 English dubbed online free episodes with HQ / high quality. 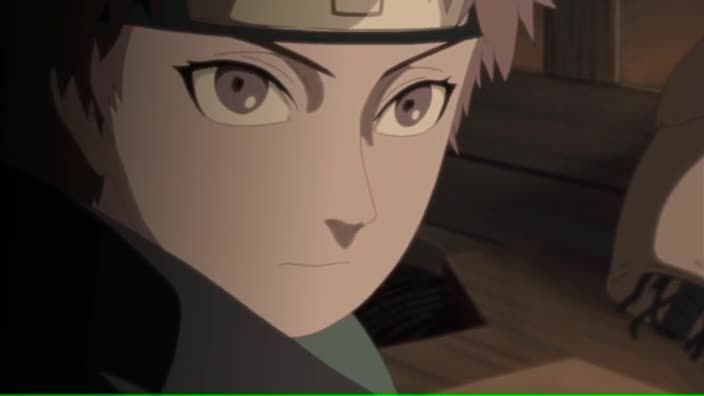 Stream Anime Naruto Shippuden Episode 319 Online English dub The Soul Living Inside the Puppet. Somewhere in the forest near the battlefield, the Fifth Division led by Mifune is confronted by the reanimated Kimimaro and Chiyo. As he gives orders for his men to back off from the dangerous Kimimaro, Mifune finds himself in a predicament when Chiyo takes control of one of his samurai. Luckily, Kankuro arrives in time to release the samurai from Chiyo’s control. Seeing Scorpion, a guilt ridden Chiyo recalls a time when her own means to communicate with Sasori was through her grandson’s only friend Komushi who died from a defective invention and became a puppet at his mother’s request. Returning to battle, Chiyo starts fighting with Kankuro gathering more samurai to assault Scorpion before Kankuro summons Mother and Father. Seeing Chiyo’s shock as she realized she had not overcome the guilt, Kankuro reveals that Sasori entrusted the Mother and Father puppets to him for future generations. Starting to see memories of Sasori’s early life and time with his parents, Chiyo admits that her grandson’s puppets are in good hands before falling inert much to Kankuro’s despair. But it was just a ruse as Chiyo resumes her attack.